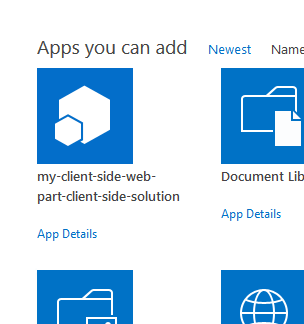 Recently Microsoft have released the new Client Side Web Part technology with the new SharePoint Framework (AKA SPFx). 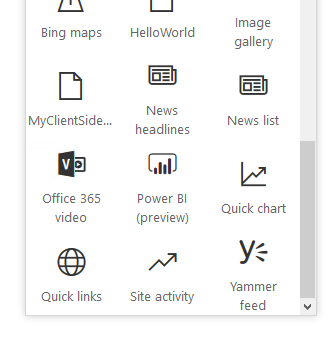 How to add the Client Side Web Part to your traditional SharePoint pages. 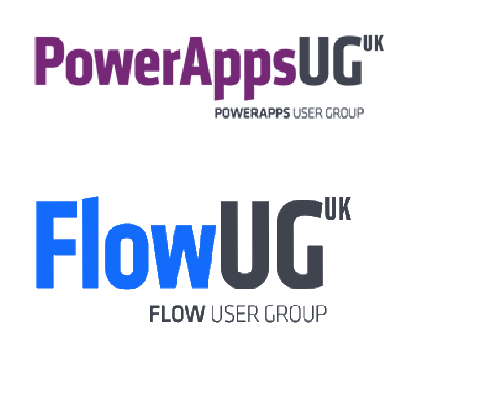 I’m looking forward to the moment that all of this can be done within Visual Studio. 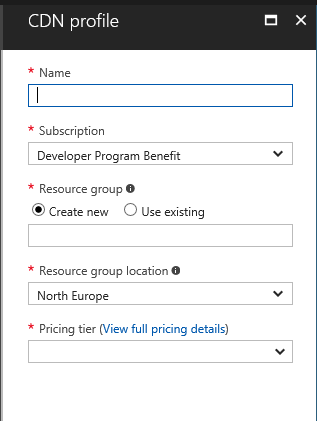 Although you will probably find that by the end of this post that there isn’t a need for the full blown Visual Studio at all. Simply use Visual Studio Coded instead. 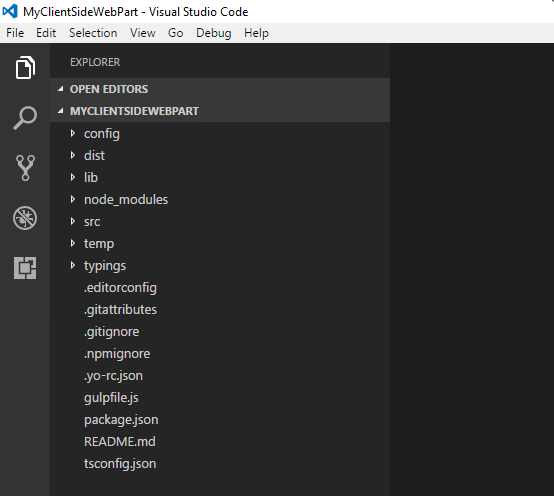 You can even use Visual Studio code for all your debugging. 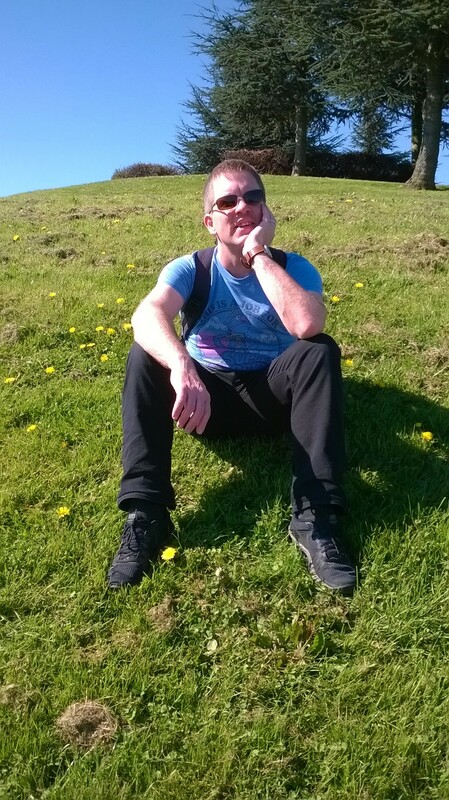 Anyway, better continue with the creation of the project. So in the above prompt I’m going to hit return. I’m happy with the suggested project name. Isn’t it magic? Yoeman looks at the parent folder name and suggest a project name. A lot of files are created and a successful message will appear. The many warning messages can be ignored. At least I ignored them and they don’t seem to be reporting any major issues. 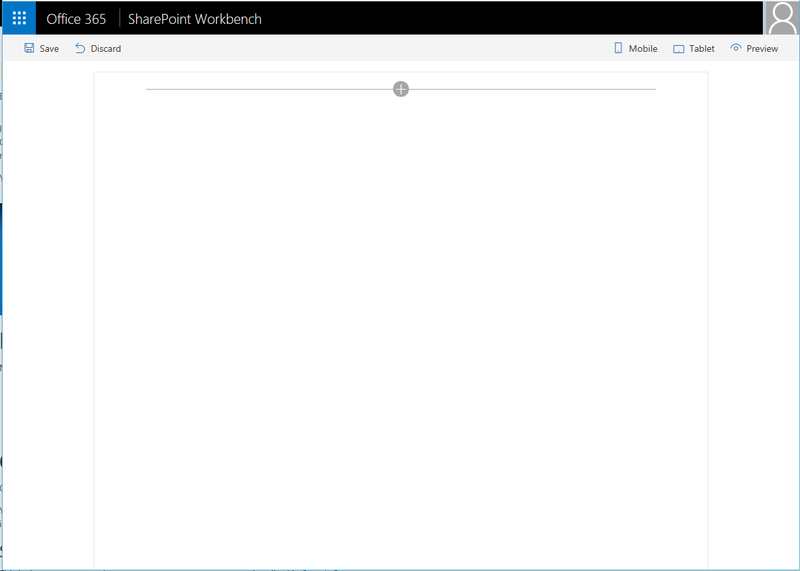 Workbench is a page that in this case lives locally on my PC that looks like a modern Office 365 page and lets me add web parts. So I click on the plus sign to add a web part and select my MyClientSid… web part. So in future I might want to think of nice short names for my web parts. I’m starting by creating a storage account. 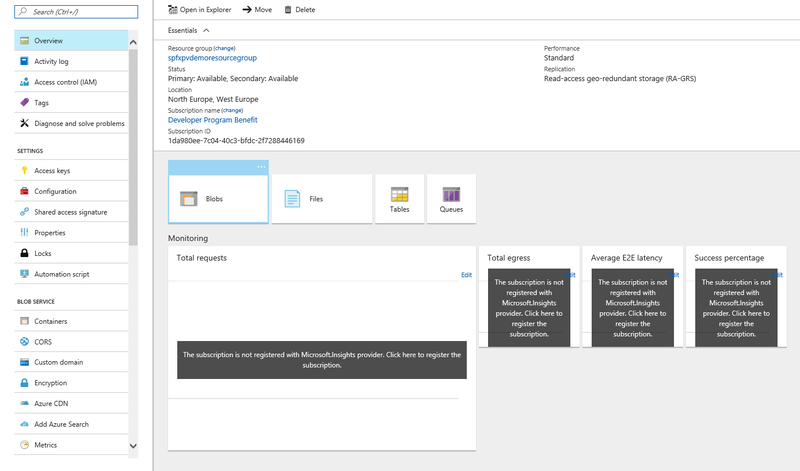 Then in Storage I select Storage account – blob, file , table, queue. Then I complete the little form that appears. starting with a name. Not that you can only use small letter s here. So I’m going for myclientsidewebpart, for the rest I’m going to leave everything to the defaults. Although not absolutely needed I tick the box Pin to Dashboard. It just helps finding things back. The Blobs button (or whatever it is) already seems to be selected. This is the one to click. Then in the top menu I added a container. Aahhh again, only lowercase characters. So after correcting the above I got the right result. Even thought the container is n’t listed immediately in the overview. Simply copy one of these keys as we will need these later. The origin type has to be storage. 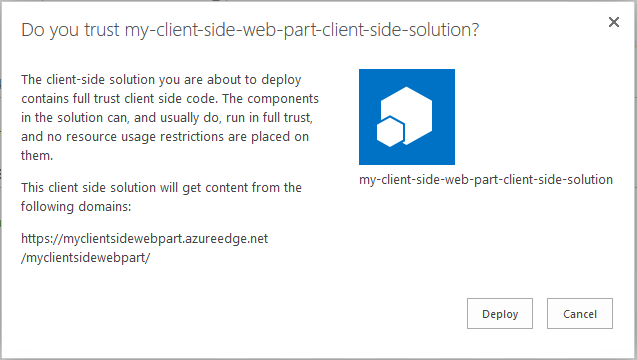 and in the Origin host name I’m selecting the myclientsidewebpart.blob.core.windows.net as I supplied earlier in my storage account. 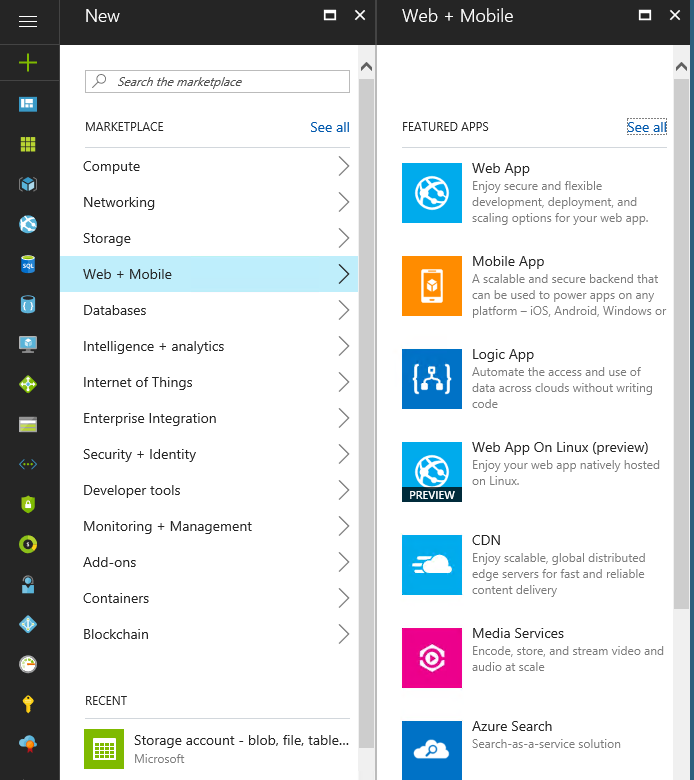 Ok, so now all the Azure work has been done! Now we can go back to our web part code. We now need to add an account and access key. 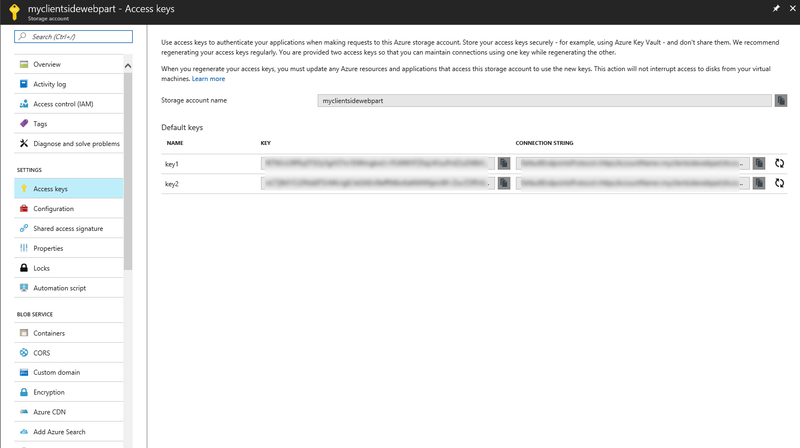 The access key we copied earlier, and the account is the storage account name used earlier so in my case myclientsidewebpart. 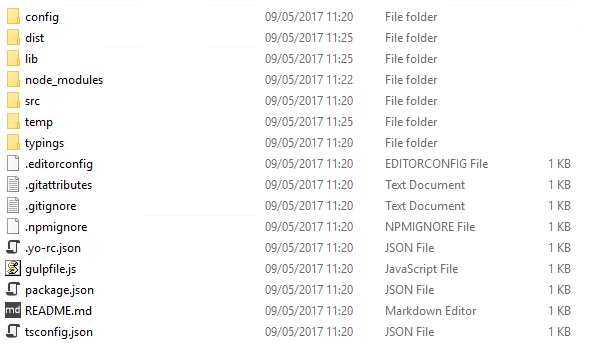 Next file in the config folder is write-manifests.json. This file contains the location the the web part. Note that the last part of the above url (myclientsidewebpart) is the blob container name. That’s it! 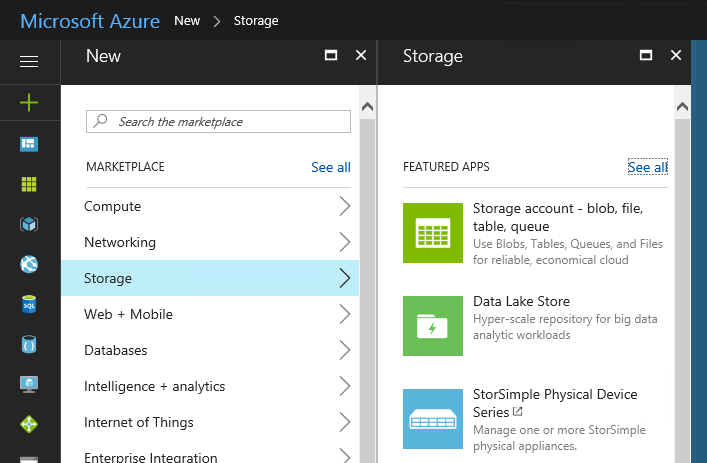 All the Azure configurations within the project are sorted out. 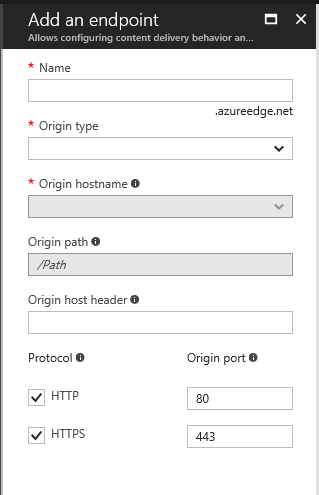 So far we have completed all the azure configurations and made the web part available in the CDN. 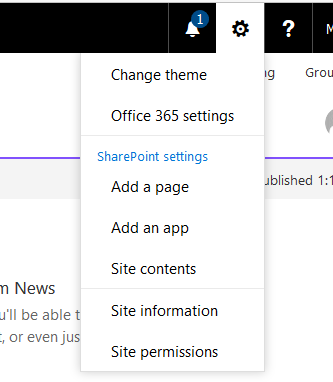 But, how do we now add the web part to SharePoint? Ok, so now SharePoint knows about my web part. ‹ SharePoint – PnP – Github – This branch is 245 commits behind SharePoint:master.